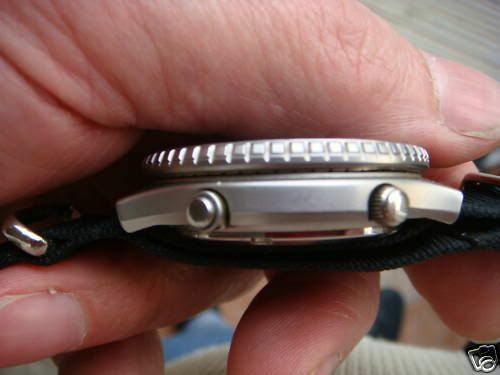 You've got to hand it to some of the Filipino watch-botchers - a few of them have got case and bracelet re-finishing off to a fine art. There's also an eBay seller in Korea, who turns out some super work, which is sometimes hard to tell from the original factory finish. Then there are the others, who, when you see their pathetic efforts, you think to yourself 'oh why didn't they just leave it alone'. Some of these re-works may actually be 'home-brewed', in Germany, USA or the UK (rather than imported from the Philippines). I'm not sure who might be responsible for this mess. 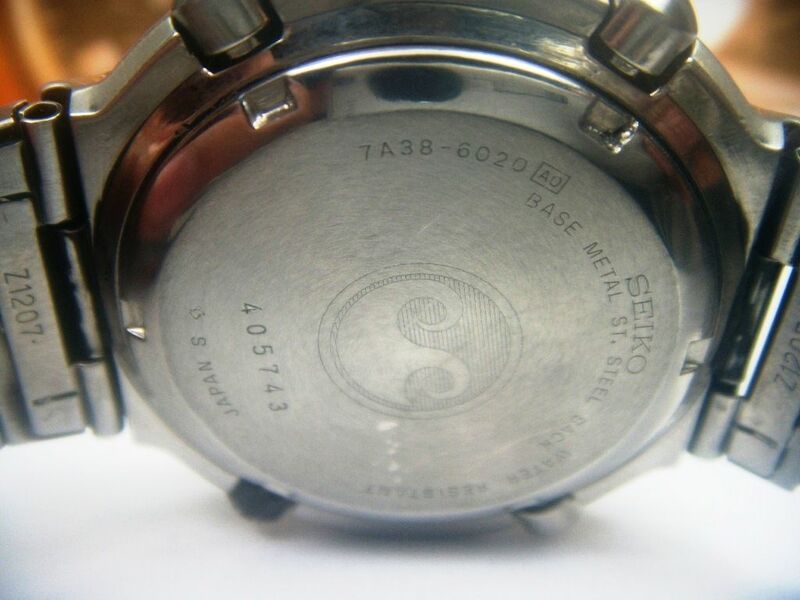 On the face of it, a well-used watch, with a corroded bezel insert, and some possible evidence of moisture ingress (dial batons and hand lume), indicating that it might actually have been used for swimming or diving (heaven forbid), at some point in its life. 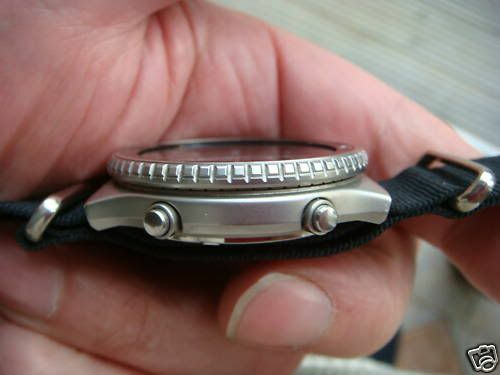 I've been struggling to find a couple of side views of an unmolested 7A38-7070 watch case for comparison. Well, with a first line like that, this thread seemed the best one to add this latest example of Filipino 7A38 watch botching on to ! 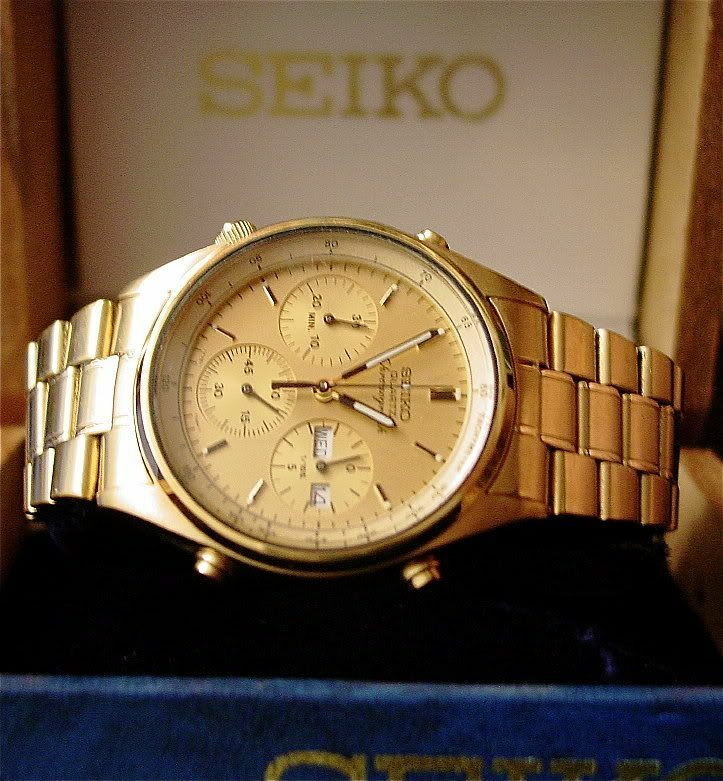 COMES WITH THE SEIKO STAINLESS STEEL BRACELET, READY TO WEAR! 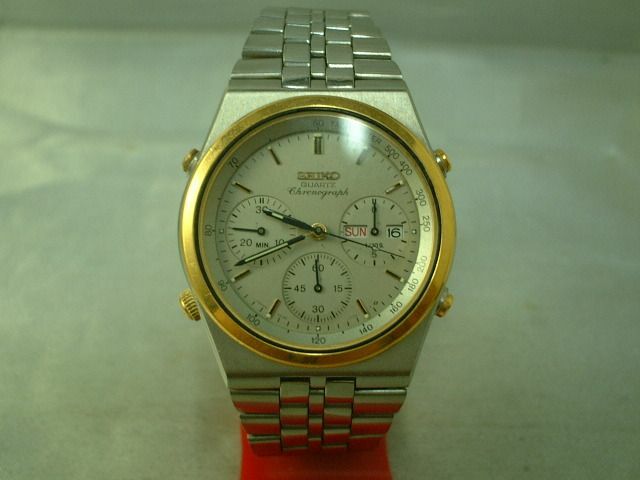 ACTUAL PHOTOS OF THE WATCH ARE PROVIDED. 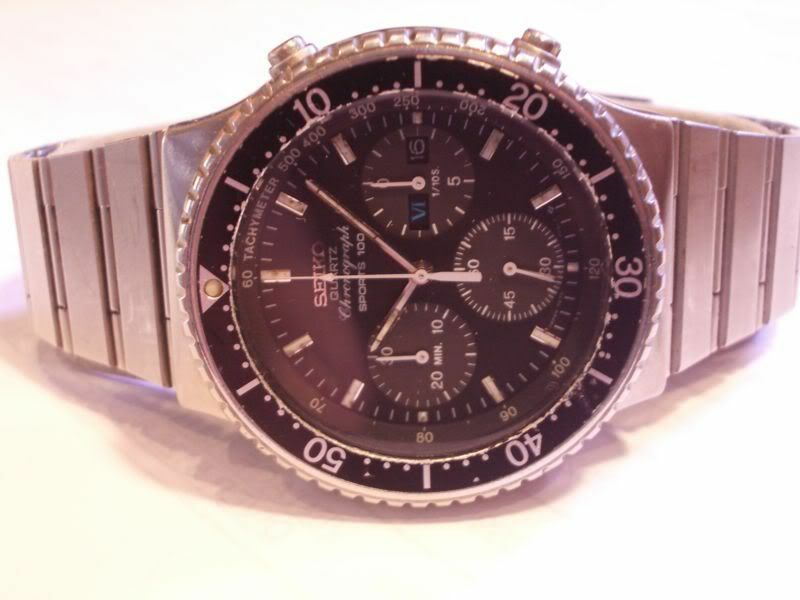 ORIGINAL BUFFED CRYSTAL STAINLESS STEEL BI-DIRECTIONAL ROTATING BEZEL WITH ORIGINAL INSERT, CLICKS! NO BOX/PAPERS BUT GUARANTEED AUTHENTIC OR YOUR MONEY BACK! 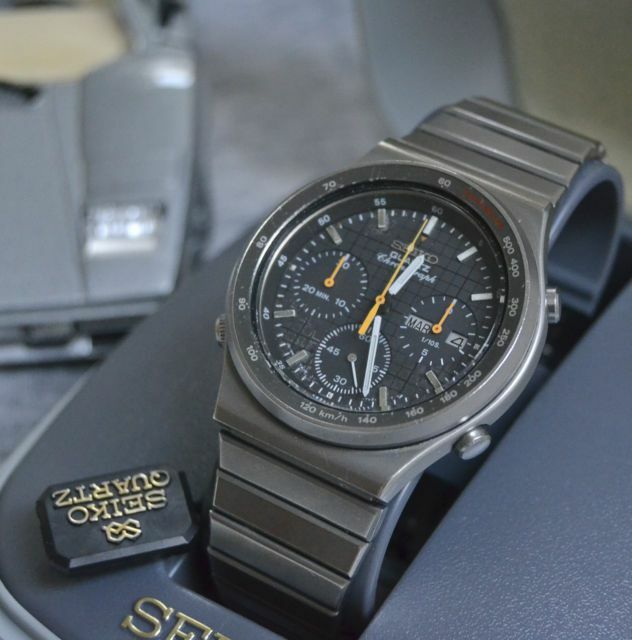 There are 16 photos in total, and to the uninitiated, the watch probably doesn't look too bad. Except that this isn't a stainless 7A38-6020 (at all), but the dark brown / black chromed version, which has been stripped !!! 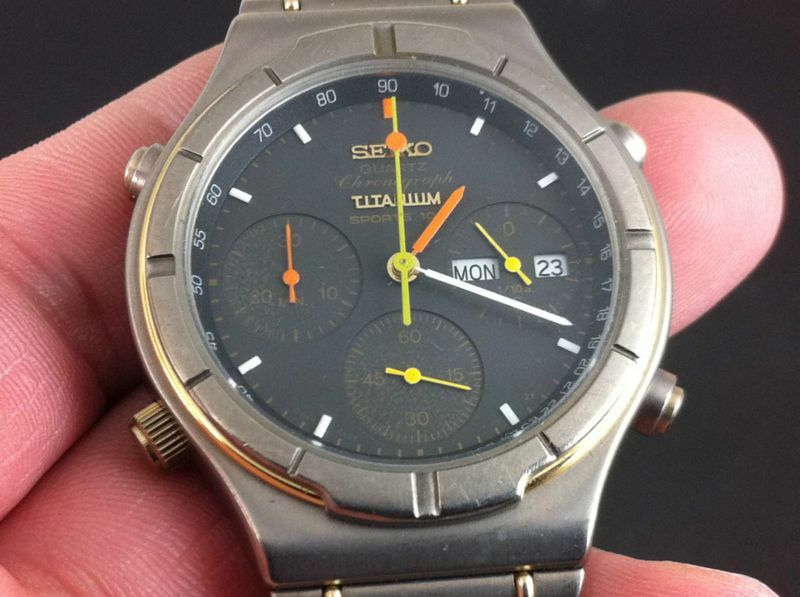 Note the dial is actually a dark metallic brown, rather than black, too. Perhaps that's what Apol meant by 'patina'. In hindsight, perhaps I chose to flag that 7A38-6020 in the wrong thread - or at least one with an unsuitable topic title. Stripped (and hence non-original) on otherwise - it still made a strong finish at $192.50 (approx. 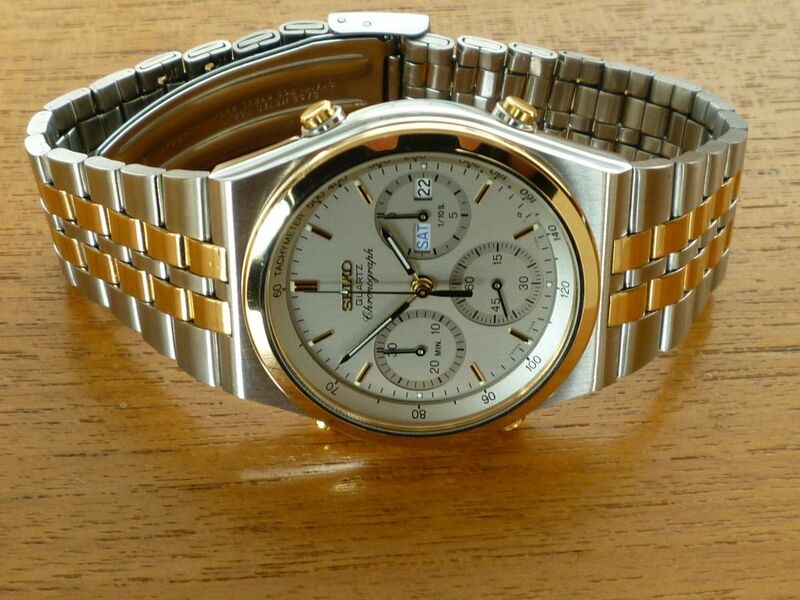 £123.64) after 19 bids. Honestly, I do find it difficult at times, when new info is added to existing threads. 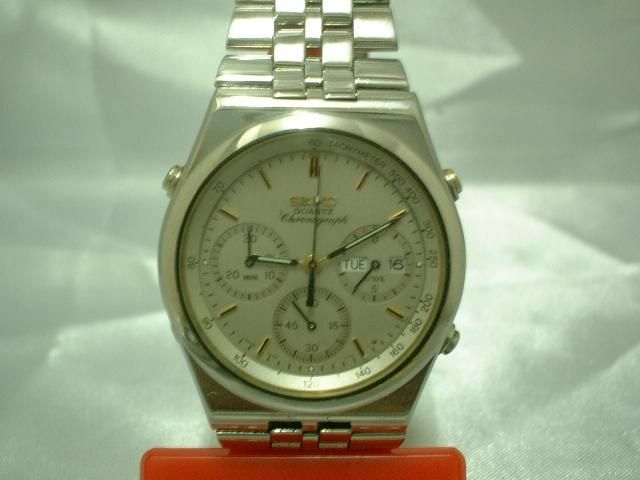 I had not seen this one, and despite my doubts about the seller and his description, I had a sudden attack on my mobile phone and became one of those bidding on it. Glad now I didn't win it. Probably a newby problem, but I am also having some difficulties establishing what the right price points for the different models should be. 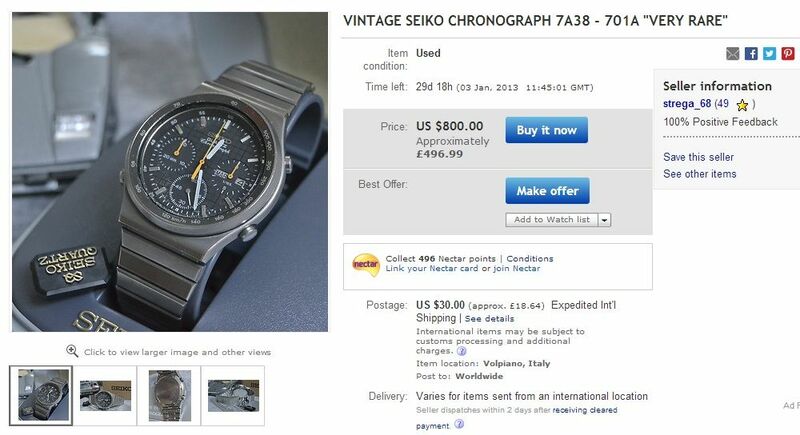 As opposed to, for example, Seiko mechanical chronos, or military watches, where according to condition, originality, etc, final prices tend to be more or less foreseeable, I have the sense that 7As auctions are tending to behave quite in a random fashion. In fact, you guys may be able to help me out: what would a reasonable price for a 6020 or 7140 in decent original condition be? And where? They seem to be scarce, therefore hard for me to have any reference. While you can see plenty of, let's say 6139 Pogues and, with some research find out what an aftermaket version, what an unmolested or a NOS can cost, it is becoming increasingly difficult for me to get a pattern with the 7As. All the best, and thanks for the heads up anyway, Paul. Sorry, Julio. 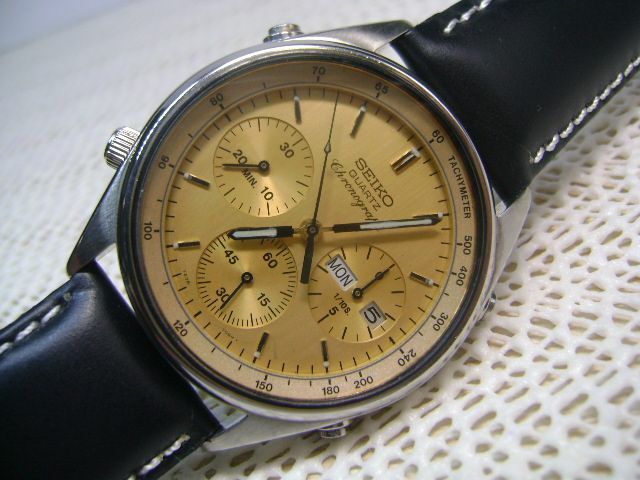 It's sometimes awkward (as it was on this particular occasion) to know which thread (if any) to add watches like these onto. Perhaps I should have just stuck with the one (very long) thread format - 'The Heads Up on yet another 7Axx Franken', like we had on RLT. 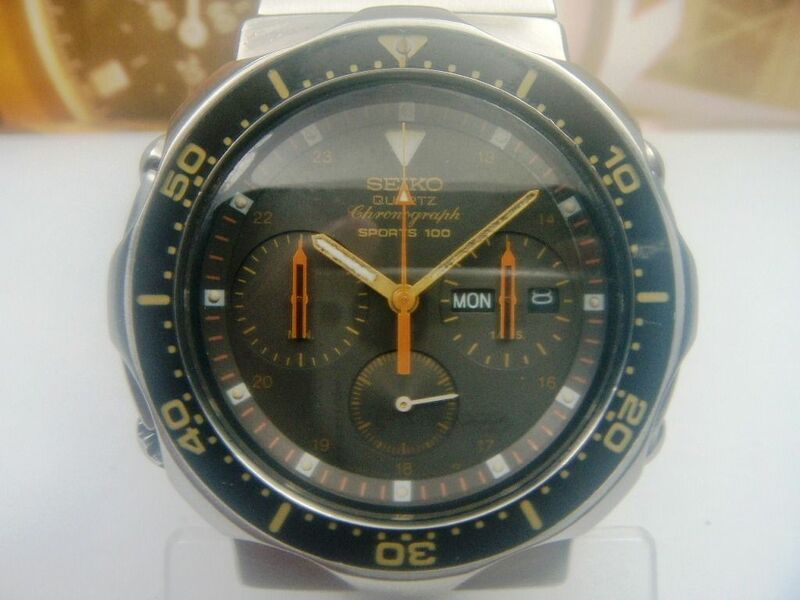 But then I didn't want to be accused of 'crying wolf' all the time, so I'd already started 2 more similarly-themed threads on here: one for 7Axx's fitted with (undisclosed) incorrect bracelets, and another for watches that were fitted with the wrong case-backs, etc.. 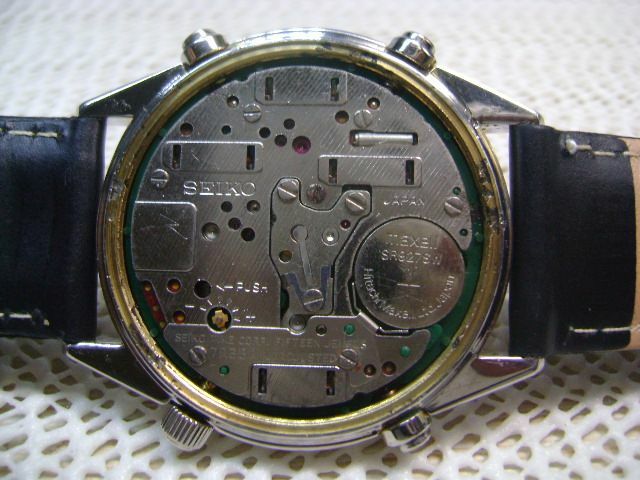 Stripping of SGP gold plating or black (with grey and brown PVD) chrome plating is another common 'bodge', which (as in this case) doesn't necessarily turn the watch into an outright franken, per se - it just makes it non-original. I guess I could start a new topic for every such watch, but very soon this section would be overflowing with separate short topics. It's already pretty busy in here. I clearly need to finish off the two 7A38-6020 threads which I've already started in the 7A38-xxxx Model Specific section, a bit pronto. They will include any selling prices that I've recorded over the last couple of years. That's pretty horrible, Andre !! Apart from the painted hands (wrong sweep hand) and batons someone's managed to fit a different minute? ring in there, too. And the first bidder is a Zero-Feedback Newbie !! 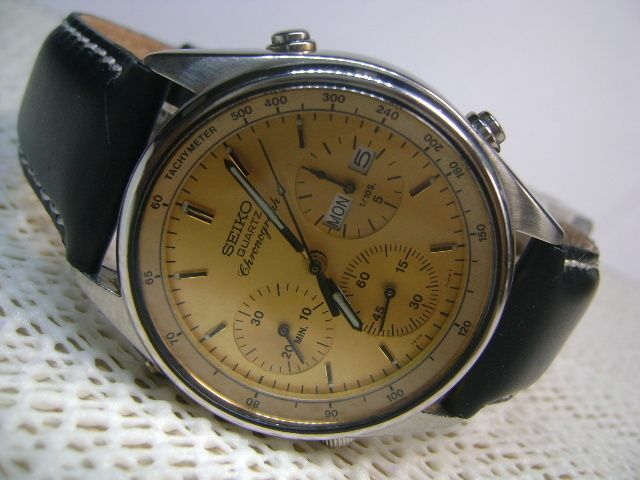 I probably should have written something about this one a week ago, when I first saw it appear on eBay, last Sunday evening. Couldn't be arsed at the time, pressure of work and all that. Plus I was secretly hoping somebody else might point it out. 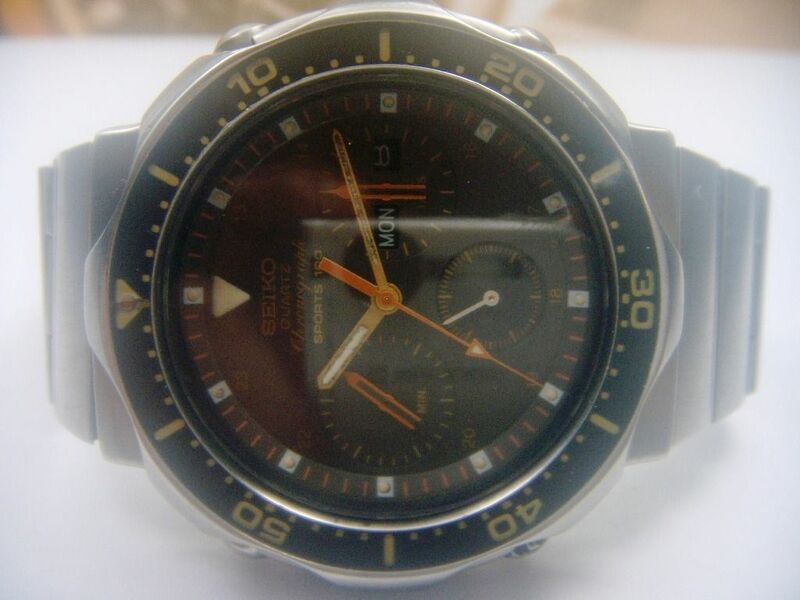 Yet another typical example of the Filipino watch-botcher's art - and as per usual over-polished to within an inch of its life. 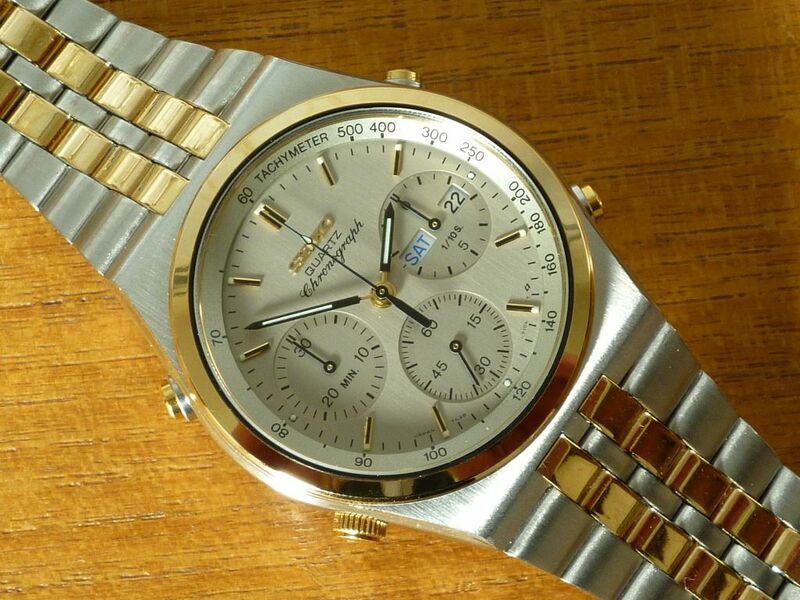 As is normal with this seller, the description is full of half truths and liberal (mis)use of the word 'Original'. This thing is about as original as Pamela Anderson's t!tt!es ! There's another clue given in the description - DAY / DATE: English and Kanji wheel (not seen in the photos). 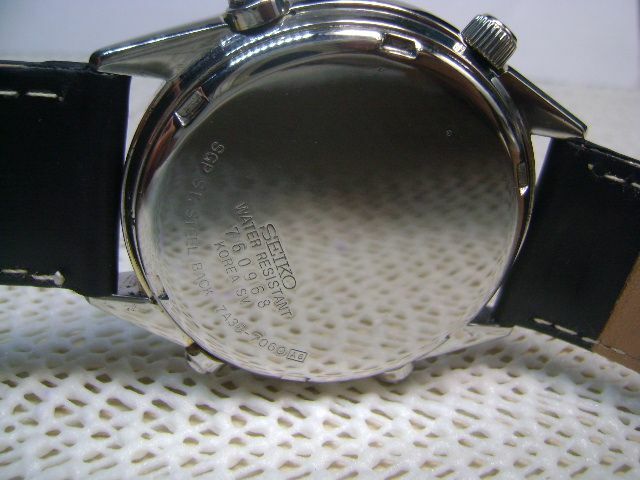 Notice the case-back stampings ? Thankfully they haven't been completely obliterated by polishing. 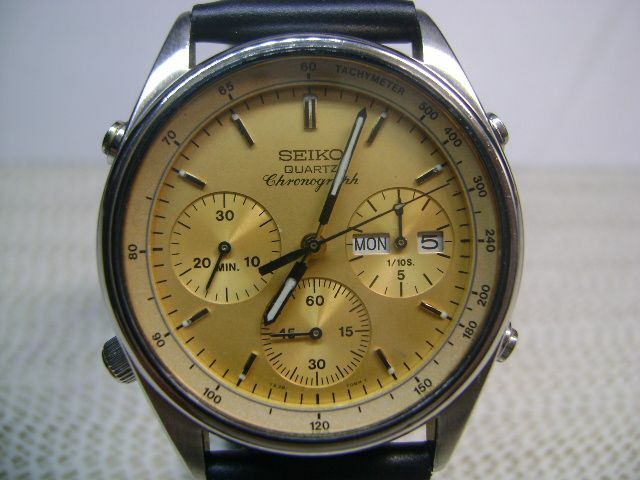 Is it my eyes, or has someone tried (failing badly) to recreate the original silver anodized finish of this 7A38-701A by air-brushing it ? It just looks too dark overall to me. 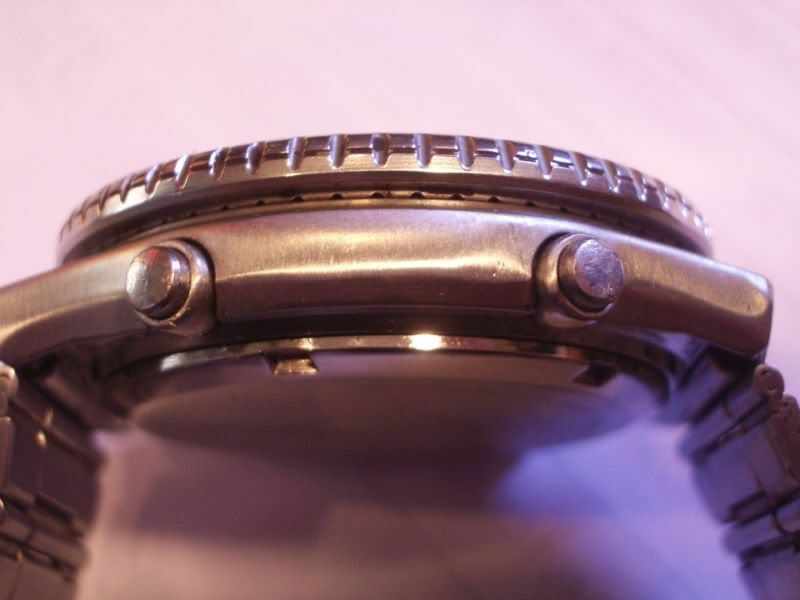 The watch has clearly also suffered from moisture ingress or battery leakage in the past. You only need to look at the state of the dial batons. One best avoided - even at a fraction of the would-be seller's asking price. No. I don't think I'm wrong about this one. 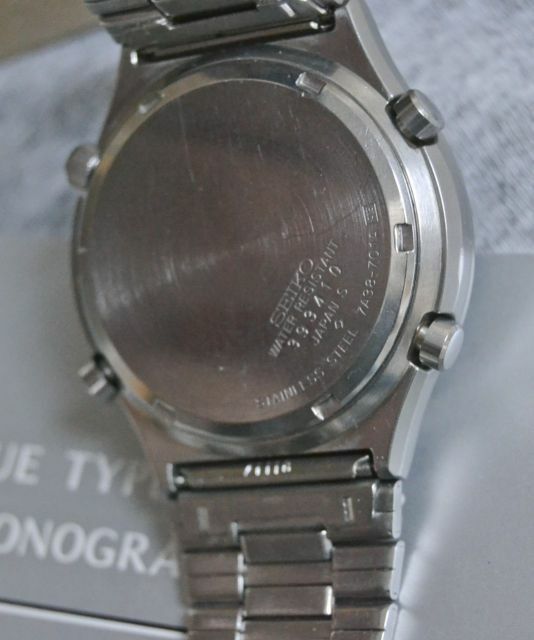 In the above photo, you can see evidence of both masking and over-spray on the case-back and edges of the bracelet links. 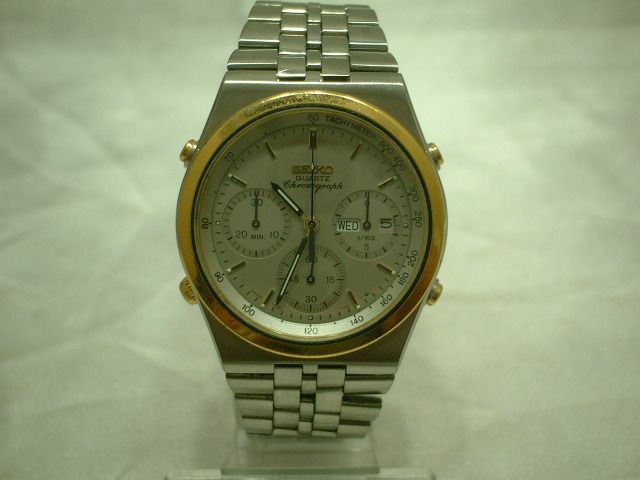 Apparently the seller has already declined an (over-generous) offer of $200. Fortunately for the potential buyer, I'd say ! Prolific Filipino arch-watch-botcher Ramon 'Badingski' Bangit has already been mentioned in a number of threads in this section. The guy continuously cobbles together horrible messes from 7A38's which most sane people would probably consider beyond hope. 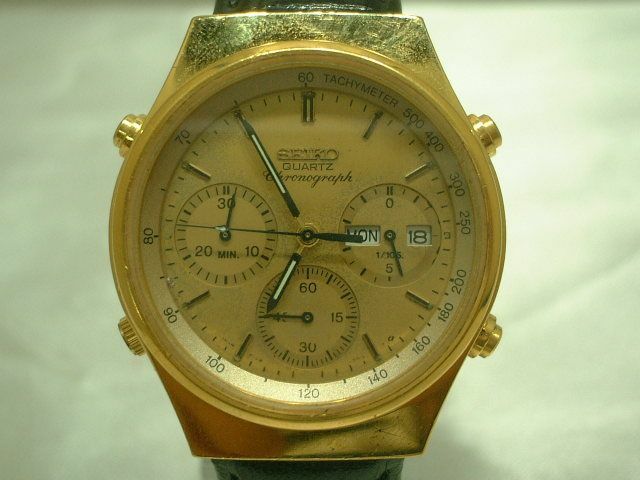 Lately he seemed to be getting a little better in some of his efforts at re-plating bezels and cases, but then I saw that abortion calling itself a gold-tone 7A38-7190, which he listed on eBay last week - and if I had ever written that anywhere - consider it retracted ! But what he fails to say is that he obviously couldn't be bothered to prepare the surfaces before he dunked it in the G-P solution. I'm not sure where to begin to describe this latest sorry mess masquerading as a 7A38. Apart from the allegedly 'lightly polished' bezel and the obviously (badly) re-plated crown and pushers - there's the bracelet he's fitted. 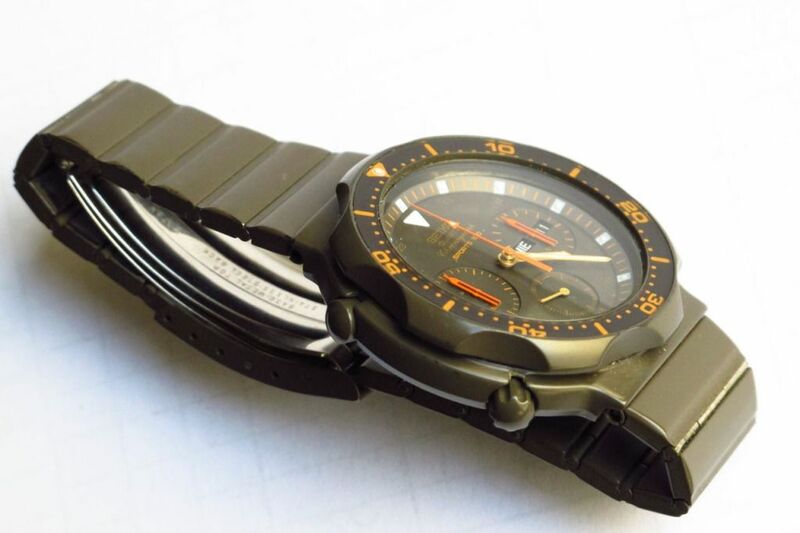 Not only is it badly stretched in places, and although Badingski describes it as 'original', it's no longer the correct original version of the B1627.E bracelet for a two-tone 7A38-7280. The central links should be gold plated. 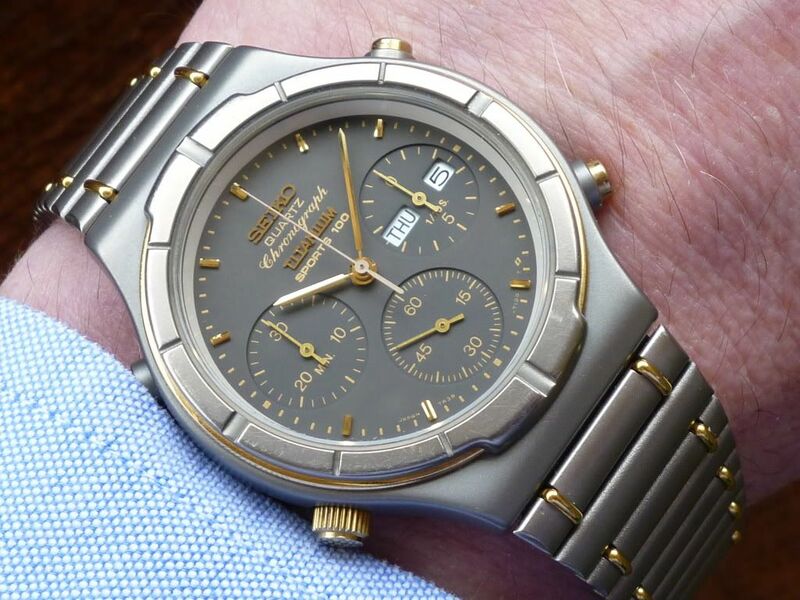 Whether he's just fitted a p/n B1627S bracelet off another all-stainless 7A38-7280, or chemically stripped the remaining gold plating from the original B1627C bracelet I cannot say. Badingski has knocked out (at least) a couple of 7A38-7280 Two-Tones similarly completely / partially stripped of their plating before. In fact, in the same folder, I have plenty more examples of other versions of 7A28-728x's which Badingski has 'worked on'. 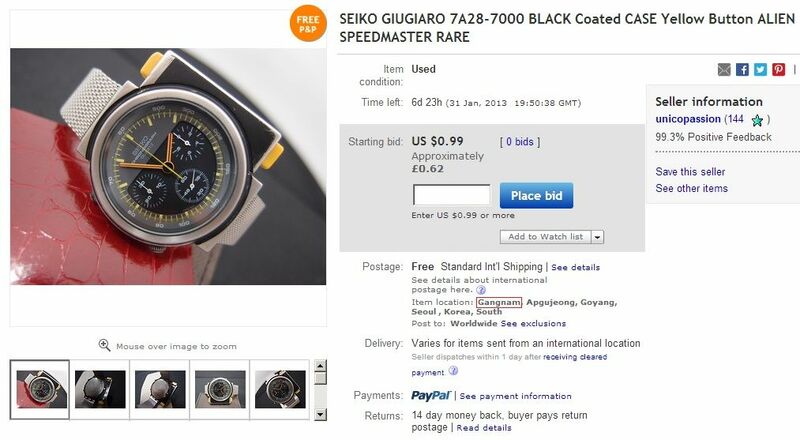 It seems we may have yet another hopeful would-be profiteering eBay re-seller to keep tabs on. .... with a slightly optimistic Buy it-Now price of £249 !!! I guess it had to come eventually. 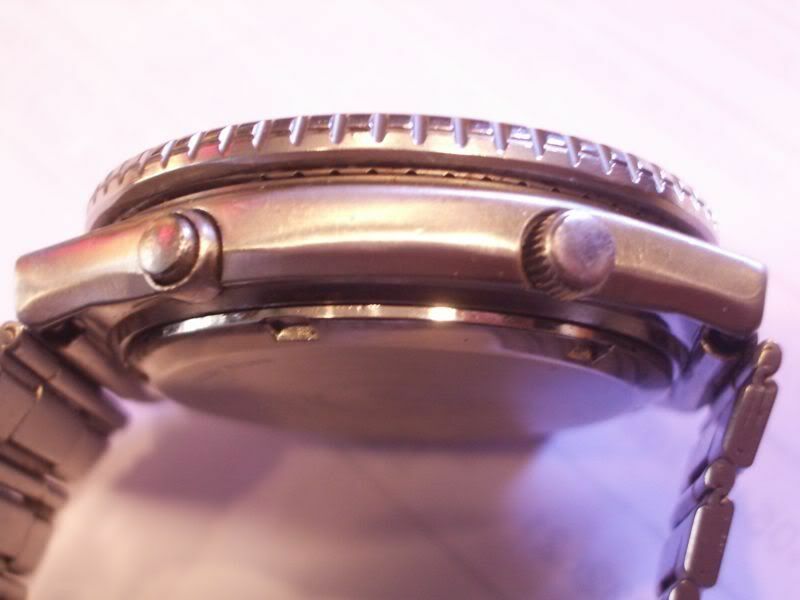 How about this partially stripped Gangnam Style 7A28-7000 Aliens listed by a Korean seller ?